The Breakin' Emote in Fortnite BR. You can buy it from the Cash Store for 800 vbucks. 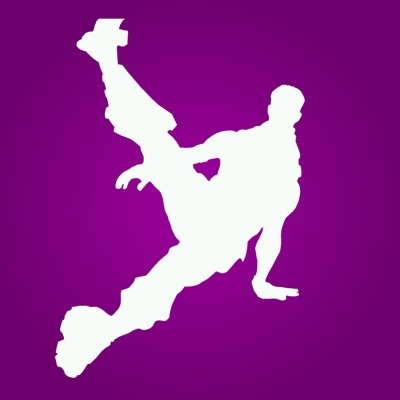 Breakin' is the name of one of the Emotes in Fortnite Battle Royale. You can go to the Locker before the match and equip up to 6 emotes/emoticons. Bring up the Emote Wheel during the match ("B" on PC) and you can perform an equipped emote/emoticon.